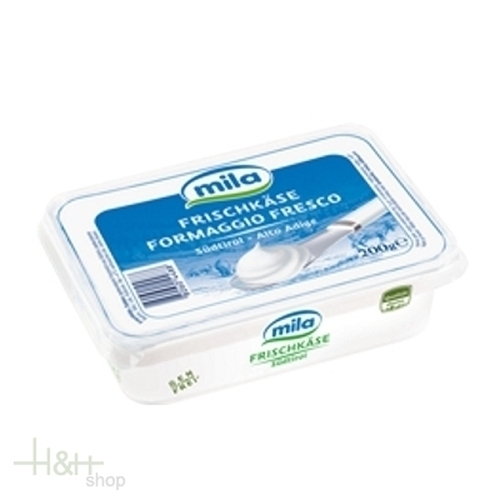 Mila Cream Cheese is a rindless, unripened cheese that is consumable immediately following production. The milk base of this easy-to-spread cheese comes directly alpine dairies in South Tyrol. Cheesemakers first curdle it by adding lactic acid bacteria and rennet. Then they separate the cheese curd derived this process the whey and enrich it with cream until they achieve the desired level of fat content. Mila Cream Cheese's noteworthy nutritional characteristics include: live milk cultures, high calcium and vitamin B content, and a low level of fat in comparison with hard cheeses. Cream cheese Mila is suitable for every day for various sandwiches. 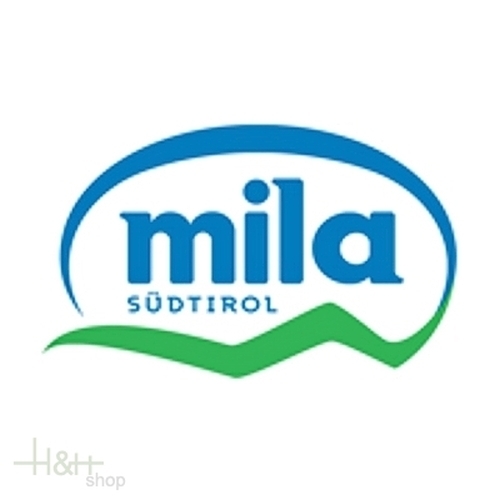 Cream cheese Mila is suitable for every day for various sand ..